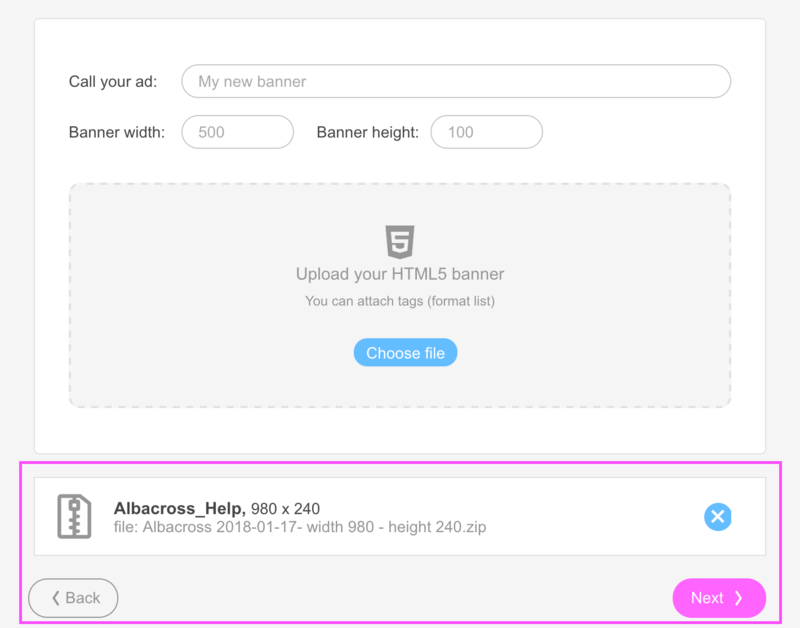 Guide for uploading and using HTML5 Banners. 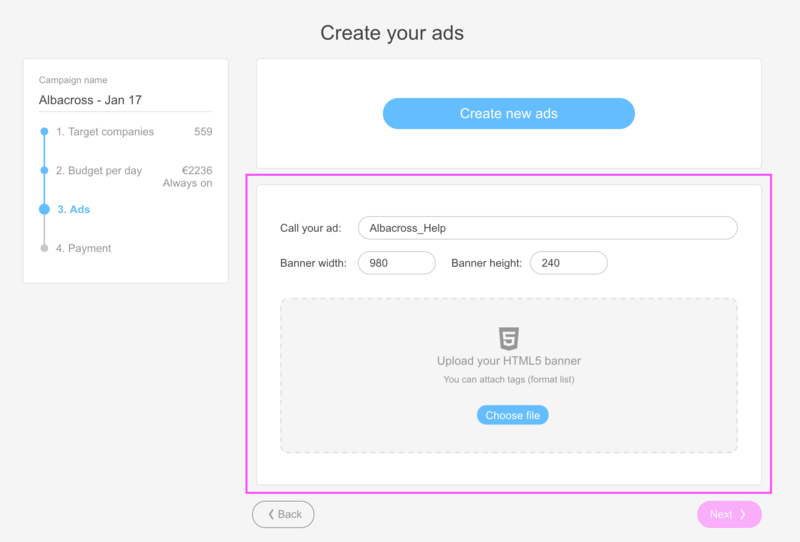 HTML5 banners are ad banners written using HTML5. There are a number of benefits to using them, including their responsiveness to different screen sizes, their capacity for rich media and variants, and the fact they can be easily updated. 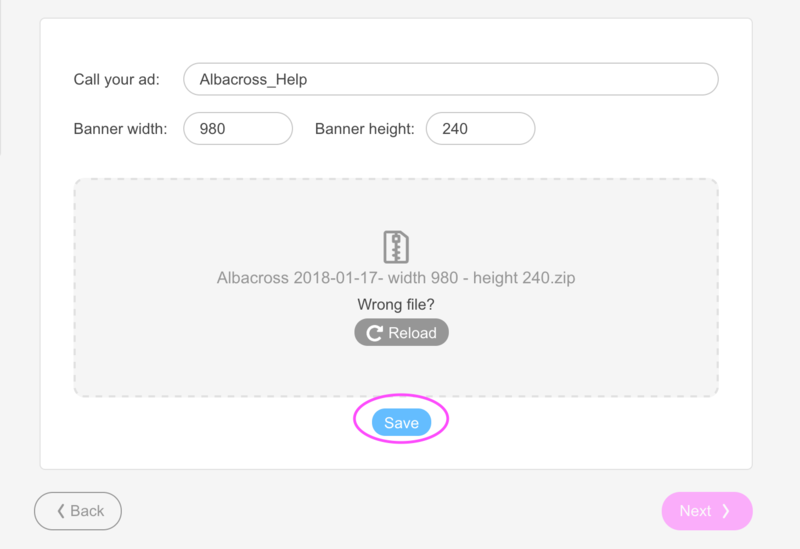 To upload a file, you need one banner size per ZIP file. You’ll also need to type in the width and height of the banner. A manifest.json file that contains the banner’s metadata. Any other files like images, fonts etc. Once you’ve uploaded the file, you can confirm that the measurements are correct. Just hit save and you’re done! You can either upload more banners or move onto the next step and finish completing your campaign (see the screenshot below).